CRICKET: India has reclaimed the No.1 spot in the ICC Test rankings following its 178-run win over New Zealand at Eden Gardens. Going 2-0 up in the series, points gained from wins in Kanpur and Kolkata pushed Virat Kohli's team past Pakistan, which only last week was presented with the ICC Test mace after claiming top spot in August. "We just want to win every game we play. It doesn't mean that we take the foot off the pedal in Indore (third Test, starting on Friday). 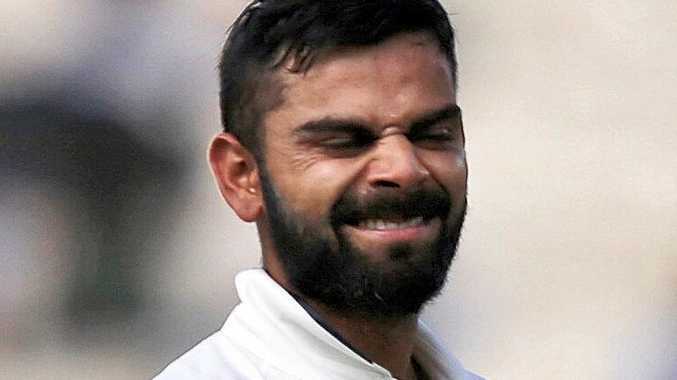 We don't drop intensity there, and we don't drop our character or our vision to win a Test match for the country,” Kohli said. Pakistan is now second, followed by Australia, England, South Africa, New Zealand, West Indies, Bangladesh and Zimbabwe. Needing 376 runs to win the second Test, New Zealand tumbled from 1-104 to be all out for 197 in the final session on the fourth day in Kolkata. Mohammed Shami, Ravi Ashwin and Ravindra Jadeja took three wickets each for India in the second innings.